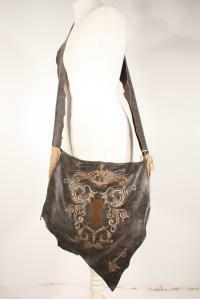 Fabricmade Bag with a leather strap and flap, decorated with a huge embroidery. Hight ca. 25cm, wideth ca. 30cm.